I think we can all thank Beyonce for a few things…booty shaking (and all that jelly), feminism to the utmost power, that little cutie patootie Blue Ivy, and, of course, all of those awesome song lyrics that we can’t stop repeating or hashtagging or posting on pretty much everything. So, as expected, I had to incorporate those song lyrics into some sort of DIY post, because, why not?! As you all know, this week has been mostly focused on my inability to let go of Summer, so I wanted to share just one more summer inspired DIY with you guys. BBQ’s, pool parties, outdoor dinner parties, and campfires wouldn’t be complete without some drinks. Ice cold drinks to be exact. And in these 100 degree days, how exactly are those drinks supposed to stay cold…? 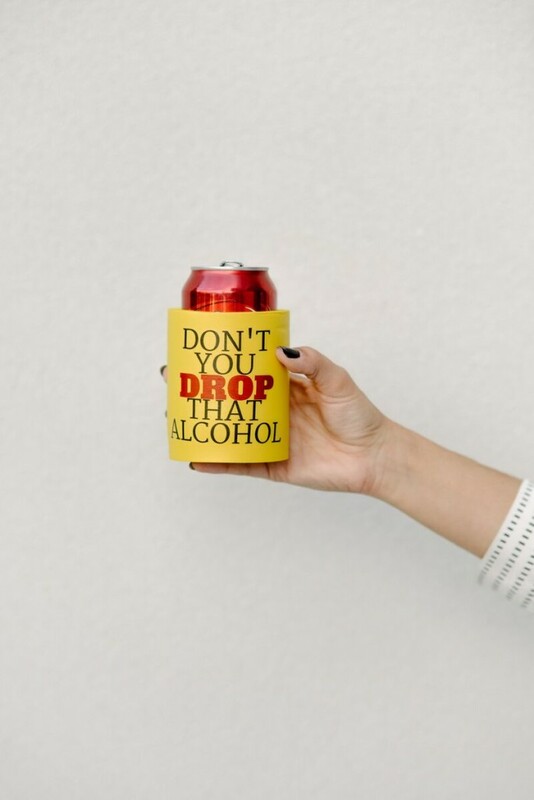 With a drink koozie, of course! Add in a little Beyonce flavor and what do you get? 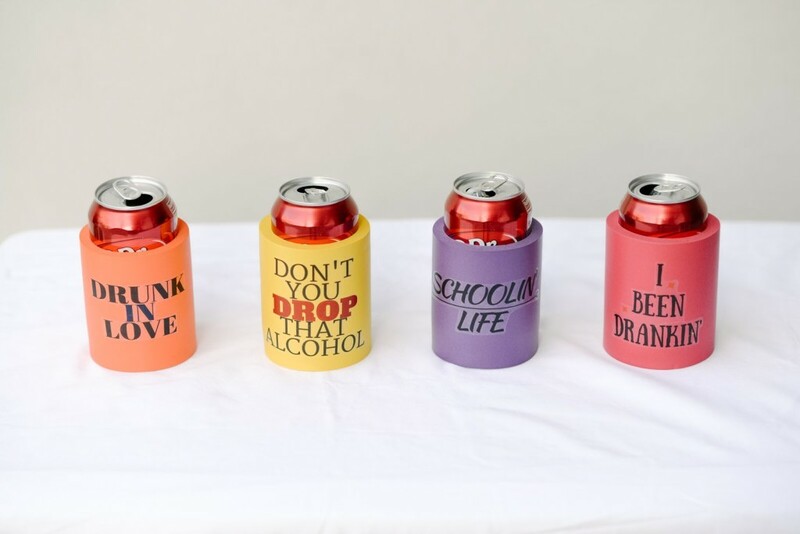 These DIY Beyonce drink koozies! I was recently introduced to these super cool printable tattoo paper sheets and my life will now be forever changed. I want to tattoo ALL THE THINGS! The specific sheets that I used are made specifically for a cutting machine, but you can totally use them without the machine too, which is exactly what I did! 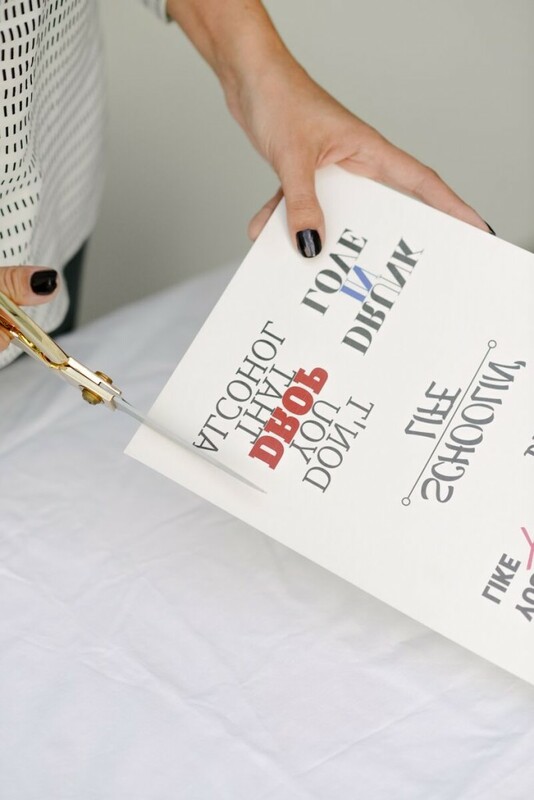 First, print the file onto your tattoo paper, following the instructions listed with your sheets. 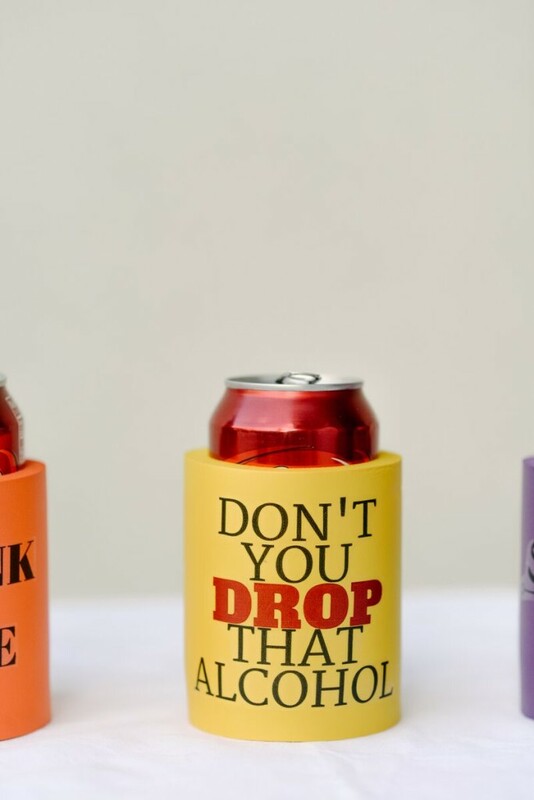 The image will appear reversed, which is how you want it so that the tattoo applies correctly on your koozie! Once prepped and ready to apply, cut out each image. Be sure to cut as close to the image as possible to reduce the amount of visible tattoo sheet on your finished koozie. 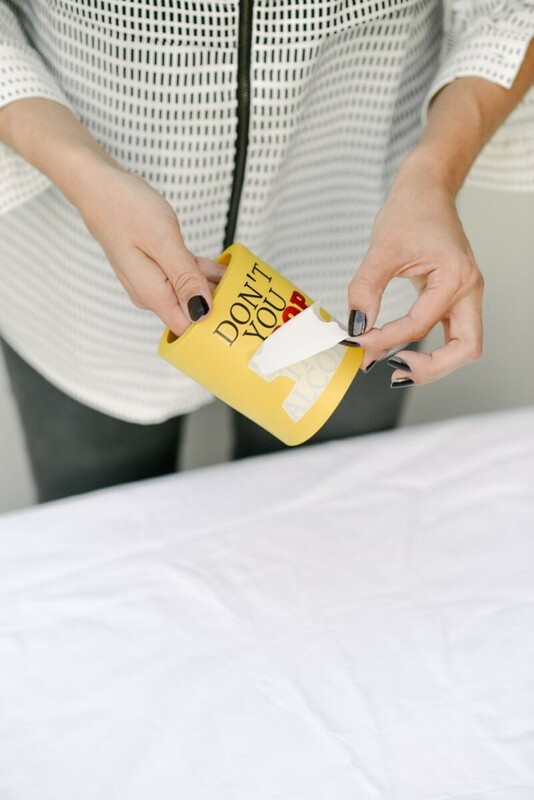 Peel off the plastic protection sheet (the clear one) over your tattoo and place the tattoo onto your koozie. 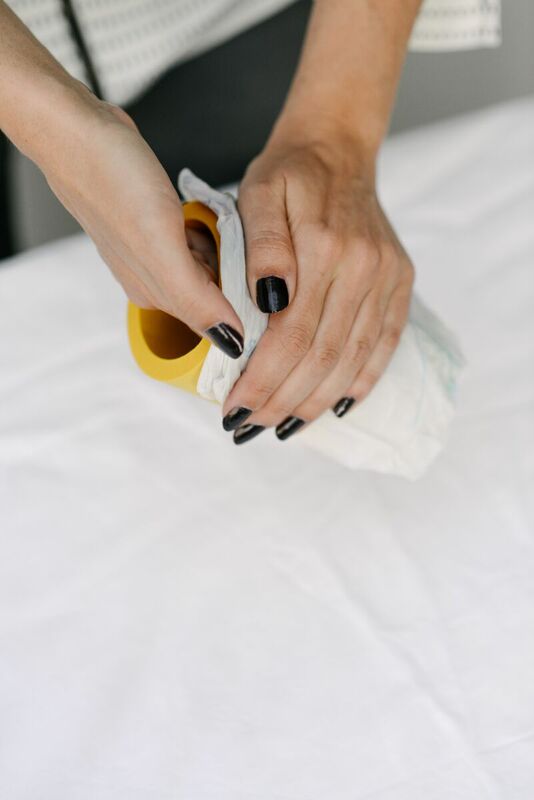 Apply a damp paper towel over the top of your tattoo, completely covering the paper backing. Press and hold for 10-15 seconds. (It’s usually done when you can see your tattoo design through the back of the white backing sheet). Remove the paper towel and slowly peel off the paper backing to reveal your finished design. Allow the koozie tattoo to dry completly and then finish it off with a light coat of clear polyurethane spray. Allow to dry for 24 hours before use. Who wouldn’t want to drink out of these bad boys?! Up the ante at your next get together, give them as a gift, or just hoard them all for yourself. 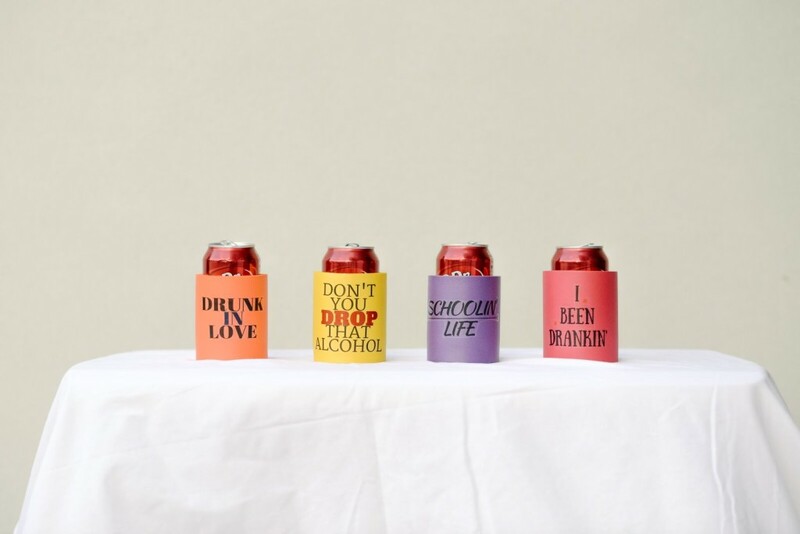 These DIY Beyonce drink koozies are definitely the life of the party and I am totally ok with owning up the my obsession with each and every last one of them. 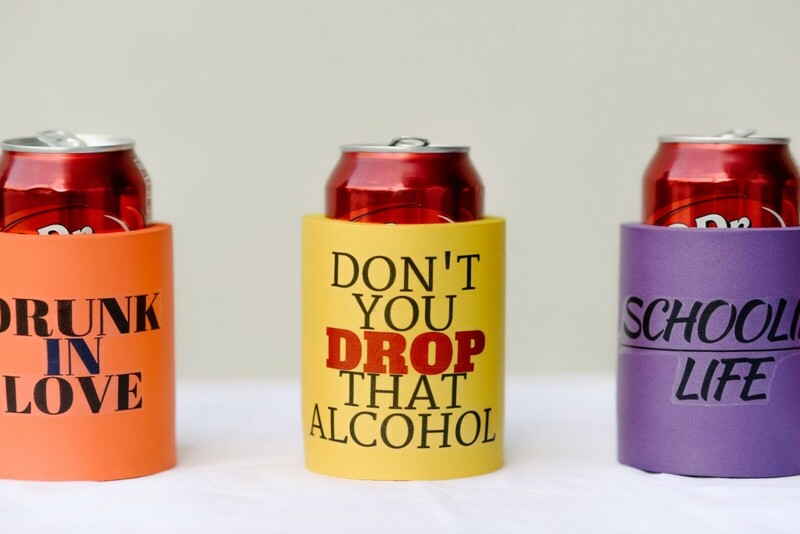 Now I just need to make a “I been drankin'” one!